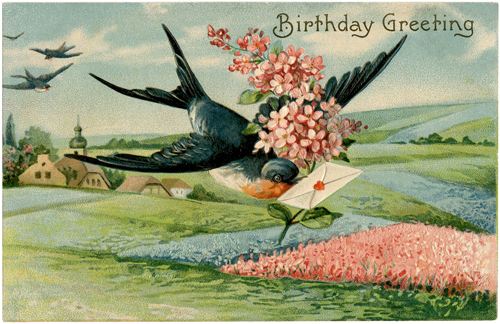 What better way to (almost) end our Birthday celebrations than with a Tag Friday post? We just love it when there's a fifth Friday in the month because we can play to our hearts content and just have fun with new techniques and new products. I think you're gonna love the inspiration from the Creative Guides taking part. Also it will be worth you reading right to the end of the post as there's a special message and invitation to join in with us. I love Tag Friday. I've got what is definitely a springtime tag for you today, even though it was actually made in the depths of February! It's part of my ongoing watercolour obsession - the flowers were all "coloured" with my lovely paints, and I had a wonderful time arranging them over the textured wall. 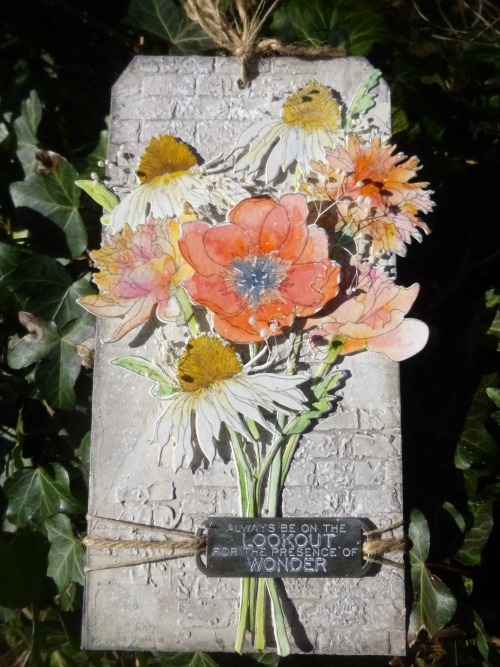 Do come over to Words and Pictures to see the details of my Wallflowers. 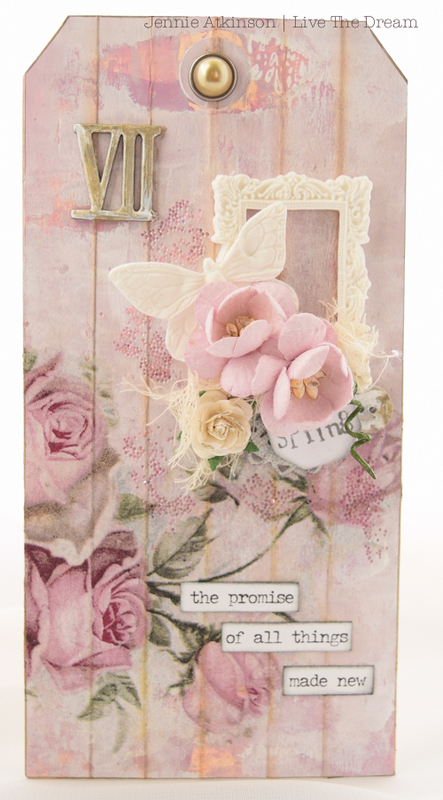 I was excited to get a chance to play with my new Distress Oxide Inks for this month's Tag Friday. I used them spritzed with water on my craft mat and also through stencils. Please join me at my blog post here to see just how I created my background and put together my tag! 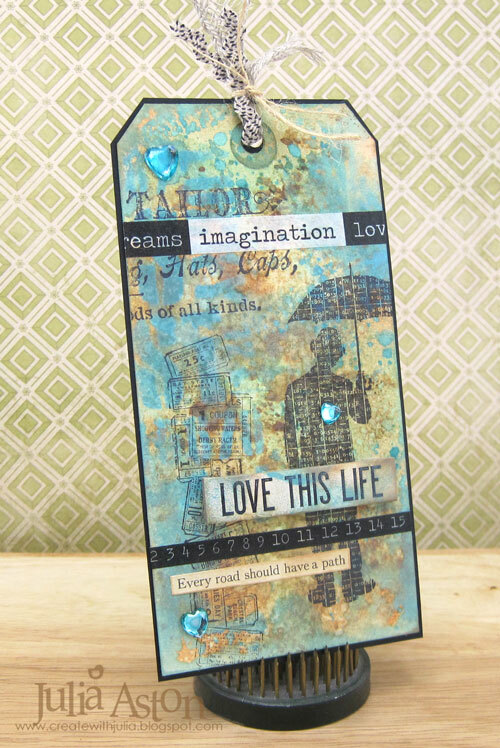 I opted to decorate one of Tim Holtz Etcetera Tags using Seth Apter's monoprint technique. 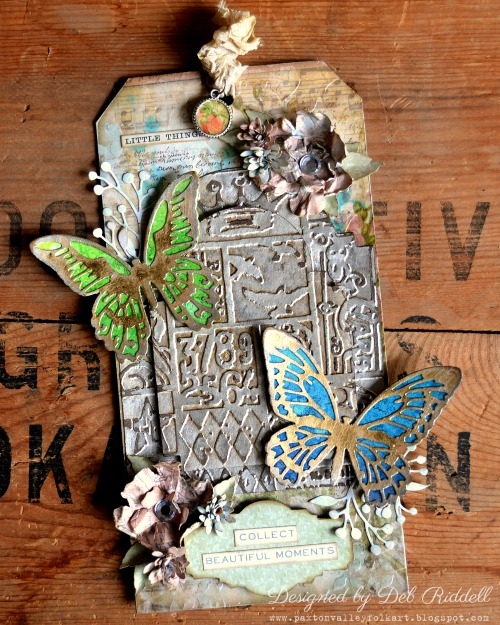 I have added many layers to this design resulting in a fabulous textural piece. Pop by my BLOG for more indepth pictures. Watercolour paper, two distress oxides and some picket fence distress paint and that's all I used for my background. I think it has a feel of old, aged wallpaper don't you? I just love the paper dolls - saves me cutting out the found relatives lol. I would be very happy to see you over at Bumblebees and Butterflies if you'd like all the details. 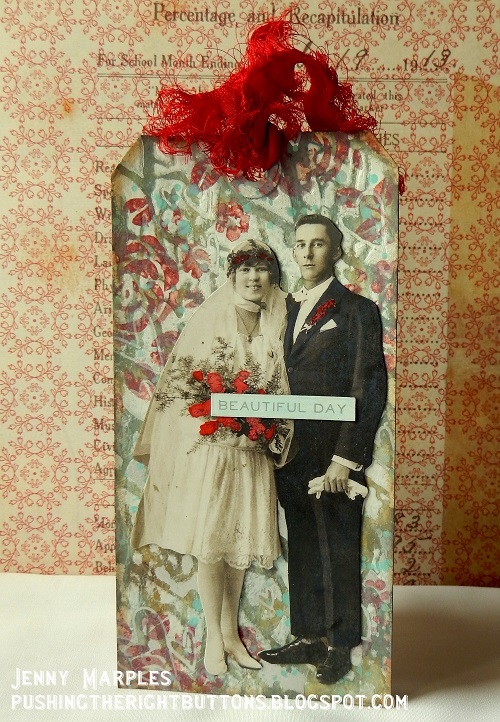 My MDF tag features Tim Holtz products new and old - crazing collage medium, wildflower dies and stamps, mini tattered florals and the fab new words design tape. Do pop over to Addicted to Art for all the details. Oh how I love Tag Fridays! 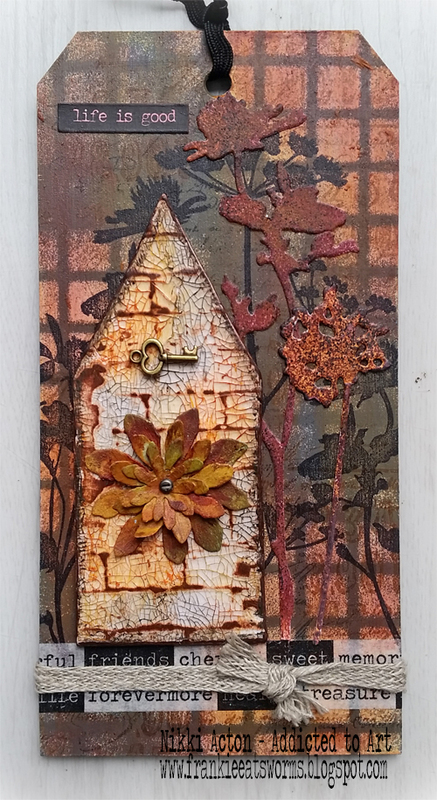 I had a wonderful time playing with some new to me Tim Holtz dies and embossing folders and combined them with some tried and true favourites. I've a few step out photos on my blog on how I created it, hope you can stop by for a look. I always love our AVJ Tag Friday as it is a good excuse to make my tag from bits and pieces left over from other projects and which never seem to get put away! I am sure you will recognise a few of them! Hop on over to my blog if you would like more details. What I love about Tag Friday is that we can cre8 whatever we like. Come by my blog here to see how I made this fun tag. Would you believe that lovely flower is made from baby wipes that were dried after using them for clean up. 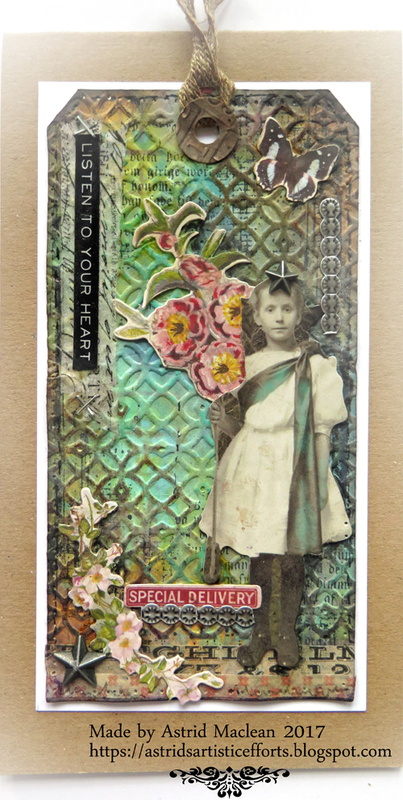 Like many of the other Creative Guides I've been giving those new Distress Oxides a work out in combination with some new stencils and Paper Dolls. It's all part of a much bigger project that will be unveiled to you all very soon. For the time being there's a chance to see the tags (more than one!) on my blog and a sneak peek of their eventual home on my blog. Wow what an incredible variety of styles using so many different products and techniques, I hope you enjoy looking at them and popping over to leave some love for everyone. It's incredible we are celebrating our third birthday. 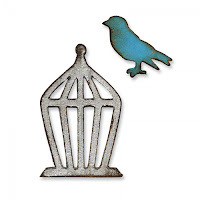 As a special part of our celebrations we thought you might like to share in the fun and join in with Tag Friday and of course it's very special to those of you who read our posts and share our love of this creative Vintage Journey. I have added a linky below so you can link a tag to us, it's only open for a week and ends just before the new challenge starts a week today. There's a little prize for someone chosen by Random Org, just a little "Thank You" for sharing your creative talent with us and stopping by to leave comments and support us every month. It's the Movers and Shapers Mini Bird and cage by Tim Holtz. We look forward to seeing what you share and don't forget there will be a fifth Destination Inspiration post on Monday still using the current contents of our travelling bag. Glorious tags - so much looking forward to hopping round for a closer look very soon. Fantastic gallery of tags everyone. Looking forward to stopping by your blogs to leave some love . What an array of beautiful tags, well done ladies. We ended the celebration in the best possible way. WOW these are all fabulous! I love them all thank you all for sharing such inspirational tags. Amazing tags! Love them all! Wow, ladies! You sent your creative hands into overdrive with these fabulous tags! So inspiring--who wouldn't want to play along! Great prize for a very lucky winner! Still inspiring creations... Happy Birthday AVJ! Wow so much great inspiration-love it! Happy Birthday! !